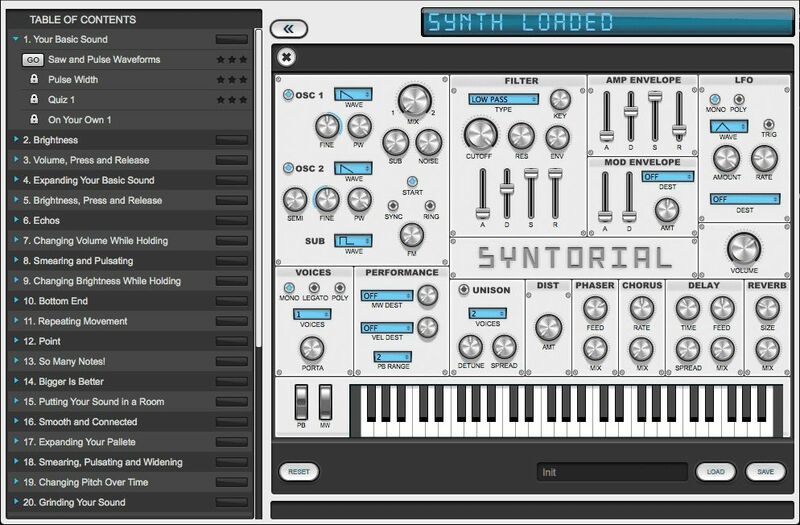 Syntorial is synthesizer training software that teaches synth programming and sound design. Pairing video demonstrations with interactive challenges, Syntorial builds the user's ability to program patches by ear. The built-in synthesizer includes over 60 common synth parameters that are gradually introduced, one-by-one, to create a challenging yet enjoyable learning experience from start to finish. 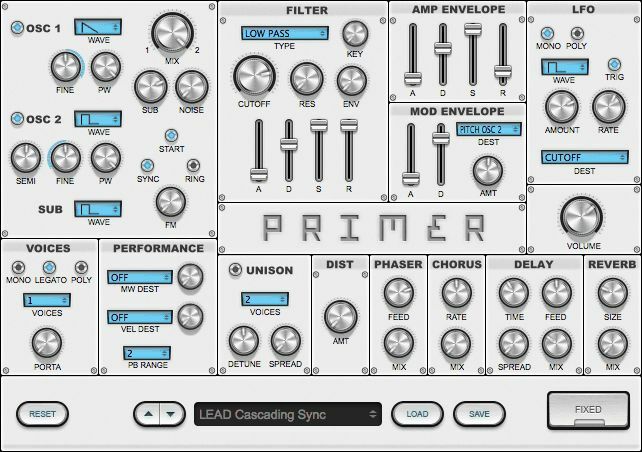 Primer is a synth equipped with the most essential controls and nothing more. Created by Audible Genius, it is an exact replica of the synth used in their flagship synthesizer training app, Syntorial. As such, Primer contains the most common controls found on most subtractive/analogue synths, allowing for a wide variety of patches and sounds, while presenting a simple and easy-to-understand interface and layout.